Bring the big screen experience home today! 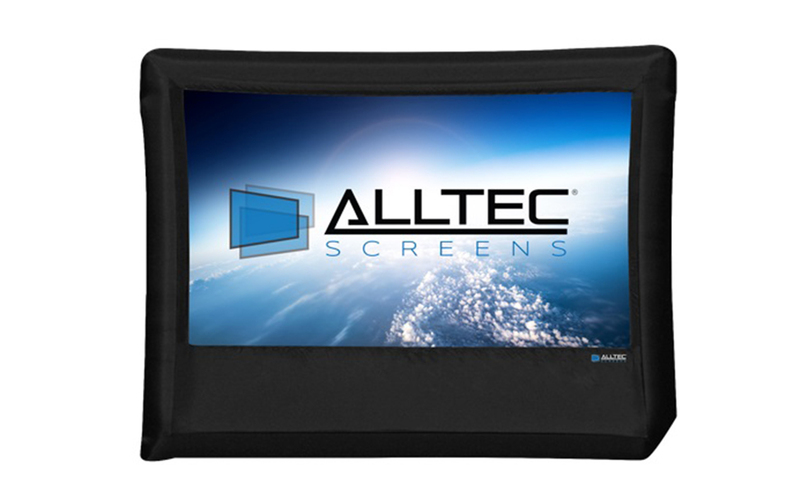 The new Alltec Screens Inflatable Outdoor Projector Screen transforms your backyard, local park or campus into an instant outdoor movie theater. 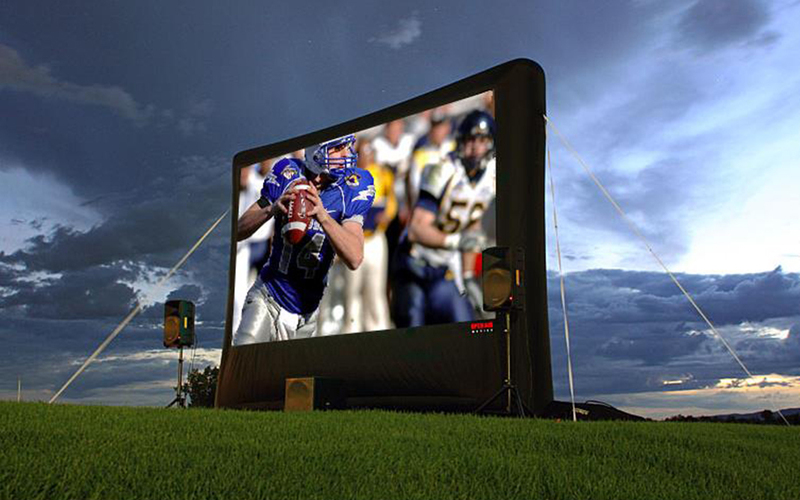 Combining the latest innovative product designs with the best materials, create the ultimate outdoor projector screen. 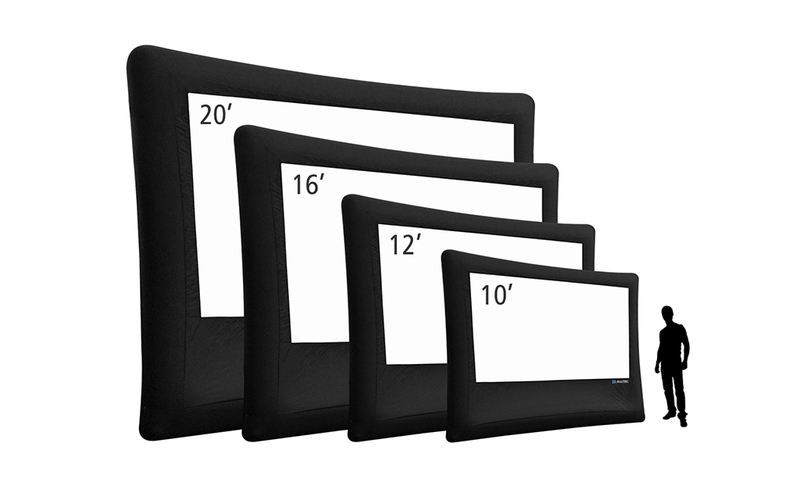 Alltec Screens offers a wide variety of screens – ranging in sizes from 10′, 12′, 16′ and 20′ wide – to meet any customers’ wide range of applications. The Alltec Screens lightweight yet durable construction, is easy to use and inflates in just seconds, so that you can focus on what matters most, your audience of family and friends. 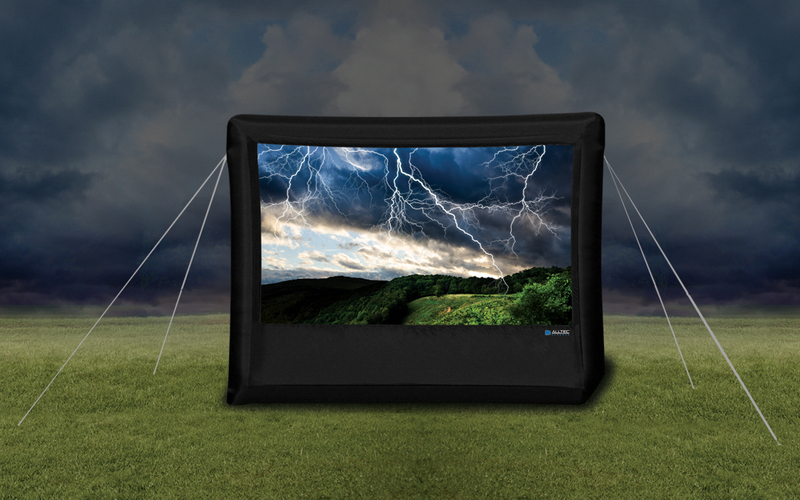 The Alltec Inflatable Outdoor Projector Screen comes with the screen, featuring a removable zippered matte white projection screen surface, a handy storage bag, 12″ stakes/tethers and the blower. Setup of the projection screen is a breeze! 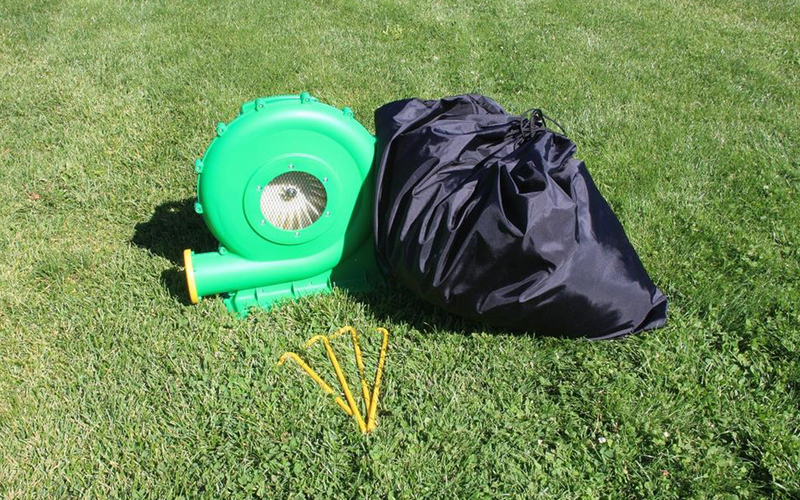 Simply secure the provided tethers and stakes to the ground, attach the blower, and the screen will inflate in a matter of seconds. Lights, Camera, Action – Enjoy the Show! Matte White – The most versatile screen fabric surface and the premier choice when ambient light is controllable. The Matte White projector screen fabric evenly distributes light over a wide viewing area, while colors remain bright and life-like, with no shifts in hue or contrast. The 120° viewing angle allows for a very wide audience seating arrangement. With an even Gain of 0.9, this projector screen fabric allows for no loss of brightness from the projection source, as long as ambient light is controlled. A black backing to the fabric is also added to impede any light penetration from behind the projected surface. The Alltec Screens matte white removable outdoor screen surface can be easily and safely machine washed. Do not use any other stronger chemical cleaners, as this may negatively affect the projection surface. The fabric surface is also flame retardant and mildew resistant.